Adventures that often do not go according to plan make for the best memories. 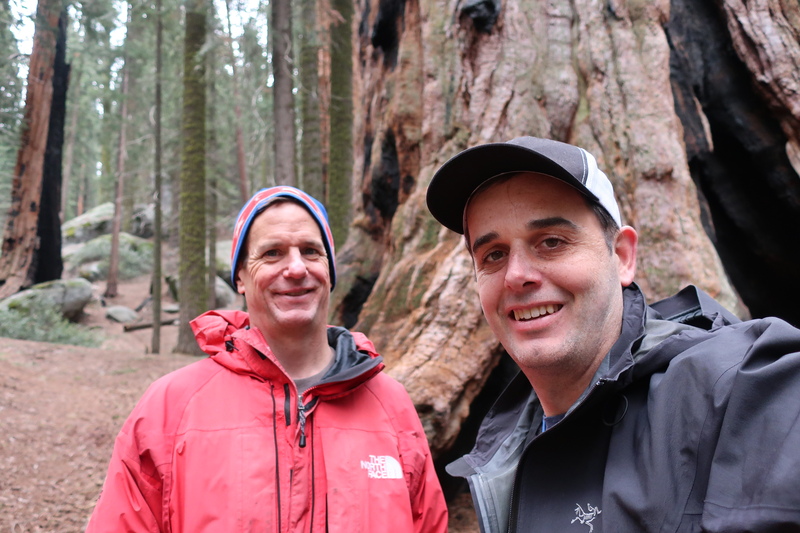 In late May, Mark my frequent adventure partner and I visited Sequoia National Park. Heather Lake, Pear Lake, and Alta Peak (11,204 feet) were our destinations for the weekend trip. 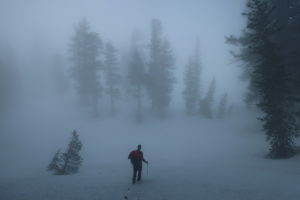 Rolling fog with white out conditions, heavy, late snowpack, and crossing multiple watersheds added some challenges to our snowshoe and mountaineering plans. In hindsight, a GPS with the right waypoints would have helped our navigation. We put our map and compass skills to test. 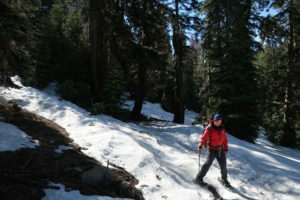 We navigated successfully to Heather Lake, but our route took longer than planned. Heavy fog and limited visibility convinced us to setup camp at Heather Lake. 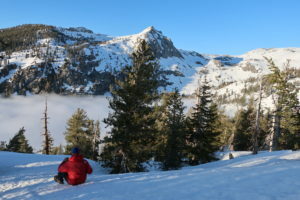 We snowshoed the 4 miles back to the Wolverton Trailhead on Sunday morning. 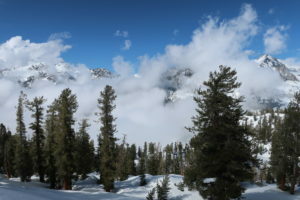 I look forward to returning to Sequoia National Park and exploring even more of the park. 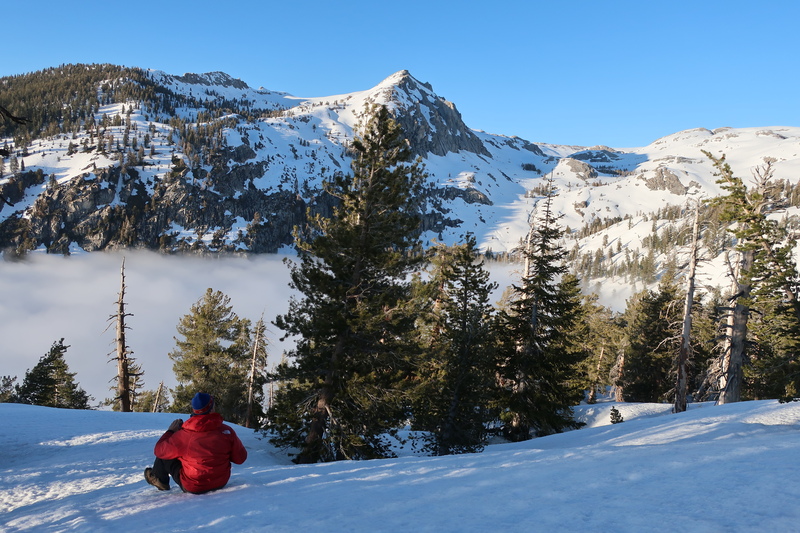 A Heather Lake Snowshoe in Sequoia National Park forms an excellent destination. Enjoy this photo essay. Mark and I visited the Giant Sequoia Grove before our backcountry adventure. The Giant Forest Museum, Moro Rock, and the General Sherman Tree (largest tree in the world by volume) are all within a few miles of the Wolverton Trailhead. Doing our best to follow the route. Finding the turn off from the Panther Gap proved a challenge, and we doubled back a few times. We knew we needed to head uphill over the Great Hump, so we ascended the valley. We’re reaching the top of the ridge at ~9000 feet in elevation. The Tokopah Valley holds Heather Lake, Peak Lake, and Alta Peak (off camera to the right). Our first view of the valley confirmed that the fog ahead of us in addition to ascending the slope behind. We found the winter fog but fortunately no white walkers. The limited visibility convinced us to camp for the night. Here’s our campsite near frozen Heather Lake. 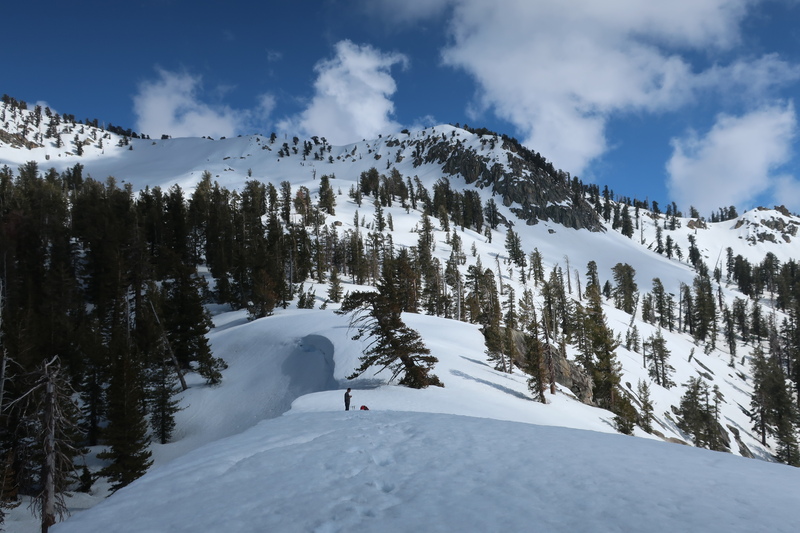 After setting up camp, we hiked further without packs and explored the area. 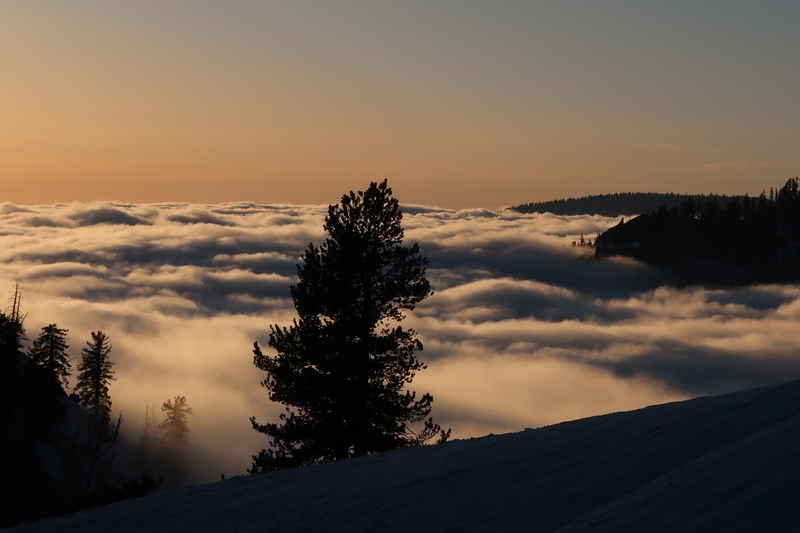 Enjoying the sunset on Saturday evening above above the fog. 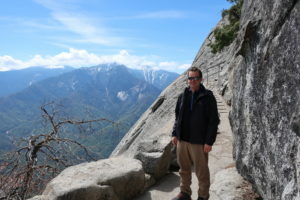 Visiting Moro Rock was an excellent conclusion to the trip after returning to the trailhead. 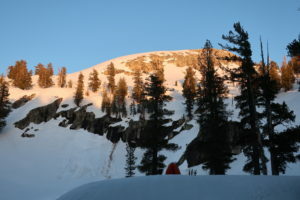 The Western Slopes of the Southern Sierra ascend much more quickly than the more gradual central and northern sierra.